Chicago Craft Beer Week is all but upon us, with Beer Under Glass kicking off the ten day celebration Thursday evening at the Garfield Park Conservatory. With dozens of events from tap takeovers, festivals, dodge ball tournaments, to, ahem, art shows, how can you possibly decide which ones to fit into your already busy schedule? You could take a vacation, as I did, or you can take a couple recommendations from THR to make things a little easier. These are just a few of the places you may see us during CCBW. For other great events, check out our individual schedules and make your own at the links below. BUG will return indoors (well at least some brewers will be indoors) for the first time since a hail storm destroyed much of the conservatory. It is one of the more expensive events during CCBW, but offers a truly unique venue, and the breweries bring their A game for this one. Even though rain is not in the immediate forecast, speaking from experience, you may want to bring your rain boots. Atlas Brewing Co. and the Chicago Beer Geeks are partnering up with Evanston's Temperance Brewing Co. to bring you an intergalactic dance party. There will be a DJ spinning space jams while you enjoy craft beer and something they are calling "AstroShots." There will even be a costume contest with the winner taking home the coveted title of "Prom Emperor." Sounds weird and a must-see. Featuring BCBS, the Sour Sisters, live music, other local brewers, and a dodgeball tournament. The event's website says its sold out, but it said that last year and they ended up letting everyone in for free, and there was plenty of space for everyone. So might be worth taking a trip west or keeping an eye on social media. If not, there are plenty of other awesome things that Sunday, like Kaiser Tiger's one year anniversary party. Lakeview brewpub DryHop features Chicago-born illustrator and printmaker Dan Grzeca during their 2nd Annual release of the "Women of DryHop Brewer's Beer." If you're looking for a laid back mid-week event after the hustle of bustle of the weekend, DryHop always delivers a great time. Admittedly a homer pick here, we're really excited about this one. We've teamed up with Lakeshore Beverage to host Arts & Crafts; an event series that celebrates art, craft beer, and the culture that ties both together. We'll learn about screenprinting from Chicago artist Nate Azark while enjoying beer from Brooklyn Brewery. In addition to a live demonstration where you will be able to pull your own screenprint, each guest will receive a limited edition print designed by Nate specially for this event. For only $15, we don't think you'll find a more unique experience or better value during CCBW. 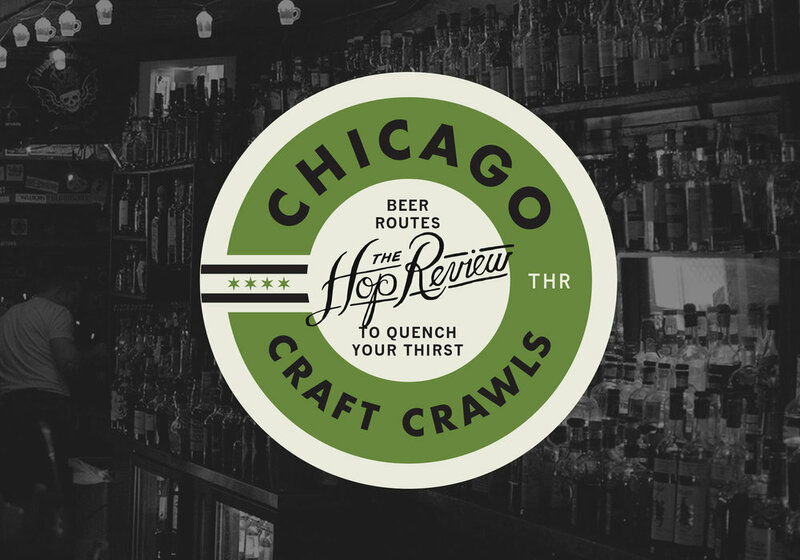 Too bad this is the same night as our event, because we'd really like to make it out to ABV Chicago's CCBW event. Hosted at one of our favorite spots, Lakeview's Beermiscuous, they've assembled a killer beer list featuring the likes of Transient, Une Année, and Marz. They're also demoing PicoBrew's new automated home brewing system, which should be quite the treat to see. It's been a long week but there's going to be no better way to cap it off then at the official CCBW closing event. Making the move to Lincoln Square this year, the event always features a huge selection of local, usually hard to find brews, and some of the best stuff from around the world. The Guild always puts on great events and we expect this to be no different. These are just a few of the hundreds of events all of over Chicagoland over the next 10 days. Check out the official CCBW video below and we'll see you out there!